Some nights the crave monster in me wakes up and screams – FOOD! Cheesy something, please!!! So on the YBlock roads, I roamed to find something new and pleasing – praying that I don’t waste my money on something useless and expensive. 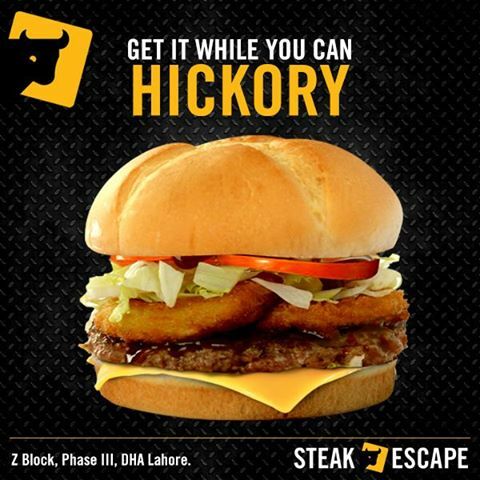 With all these fast food restaurants popping up in Lahore at every corner it’s hard to differentiate the taste and quality. At the end of the day, the choices are left between KFC, Hardees, MC Donald’s or their copies in one way or the other. Their menu reminded of “Charlies Sandwich” of well I ordered their Hickory and Classic burger with a single meal. 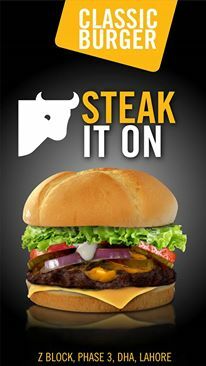 The fillings are made on the spot; the steaks are grilled, chopped, vegetables added, sauces and Vola the burgers ready. Nothing about preparing the burger was extraordinary. So when I was seated, I took a bite of their fries. Ahh!! Crispy and fresh even at this hour! Oil free, delicious snack. From the very first bite, I feel in love. The bun was fresh and soft; the steak was perfectly grilled, full of flavours and played just the right notes n my pallet. It was one of those meals I could have with my eyes closed, just to savour every bite! It’s a memory to remember. Definitely, a MUST MUST GO again AGAIN! Oh! And the best part is it’s all in such a good budget – it’s a Fairytale! 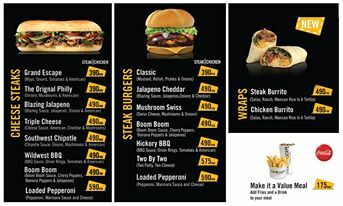 1 Meal and a single burger cost me – 1020 rps ONLY! Next PostLTC fares reduced by 50% for Eid, commuters delighted!